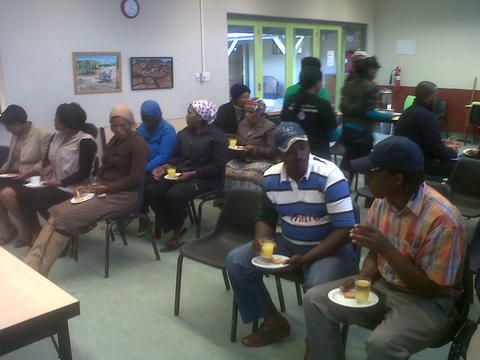 The Masi Branch hosting its 4th Term Parents meeting. Around 2.30pm on Saturday 20 October, the first parents crossed the library doors to attend the Term 4 Parent’s meeting. Besides explaining the IkamvaYouth aim, we first communicated the IkamvaYouth vision to the parents: “1,000,000 learners will be passing matric with flying colours in 2030, getting access to post school opportunities and generating a dignified income”. In fact we want to make them dream with us, to make them feel integrated to the process of making a difference. In order to reach the stars, we need a high commitment from both parents and learners. Therefore we made a point on the attendance process, kick-outs, school report collection and analysis. Simultaneously, the Masi branch needs to have a pool of regular tutors. We invited the parents to come and tutor and/or recommend some of their friends who might be interested. 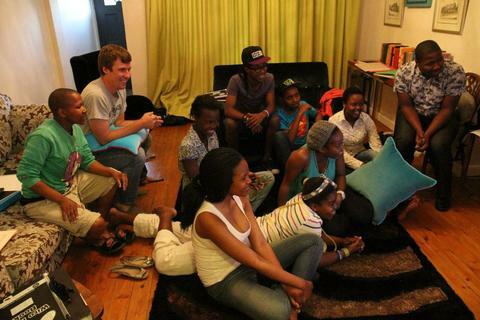 In fact, offering a good tutoring quality comes from the small tutoring groups (1 tutor for 5 learners). 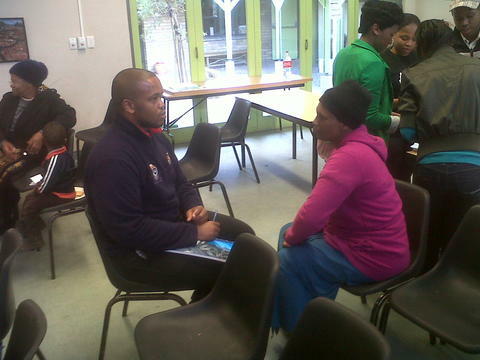 At last, parents asked questions around how to get more involved and having more feedback from IkamvaYouth. Thank you to all the parents who are one of our partners of choice in Education. Let’s take another step together! 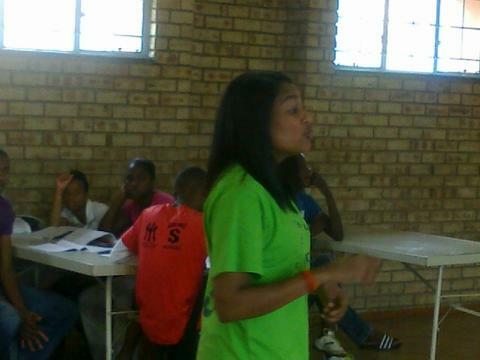 On Saturday the 27th October IkamvaYouth Ivory Park Branch hosted the presence of Devendri Pillay of African Bank. Devendri is the African Bank representative assigned to the Ivory Park branch, and is also a mentor to one of our learners at the Ebony Park branch. Devendri addressed the learners and left our hearts warm and very humbled. She expressed that African Bank invests in the learner’s education because it believes in them and it believes in their potential. She also shared hardships that may occur along the way, those are to be treated as life lessons and learners shouldn’t despair. One day they will look back and appreciate those hardships as building blocks. What stood out the most was a quote from the African Bank CEO which is as follows: Impossible = I’m possible. This basically translates that if you put an apostrophe between the” I” and the “M” what results is “I-AM-POSSIBLE”. Learners exposed to empowering environments are more likely to be empowered individuals; and Devendri has helped create such an environment for our learners by inspiring them to keep pushing regardless. 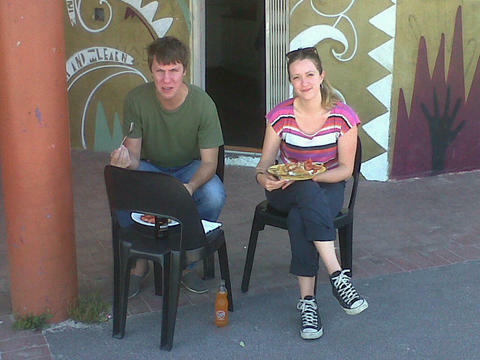 The learners, tutors as well as staff are humbled by people that grace us and continue to inspire our spaces. A Big Thank You to African Bank for the dedication and investing in our youth’s education. IkamvaYouth is very lucky that for the past two months 8 lucky ikamvanites has had the opportunity to be part of a film-making course with Reel Lives. The film-making course is being facilitated by Leah Sapin, Director of programs, and Lyle Kane, the Executive Director. Both Leah and Lyle are from New York and they have brought along with them very expensive photography equipment to help our learners tell their stories. “Reel Lives has been very useful to my life. It supported me on the huge challenge that I use to be afraid of. Now I am at the top of my life. I have accepted and know myself better,” said Kuhle Riti, one of the lucky Ikamvanites. The Reel Lives project has started as an idea to show the world what really happens in South African townships from an insider’s perspective. Most documentaries tell stories from the outside, but by equipping the learners with the skills to make their own documentary, they give the world a personal view of what really happens. Students are not just taught in a classroom setting, but they are taught how to handle the film-making equipment and shoot their documentaries on their own and in a group. This teaches the students how to work on their own, but also how to look after expensive equipment and will stand them in good stead later on in the lives. Join us on the 24th of November 2012 for the premiere of the documentaries. More details will follow, so watch this space. 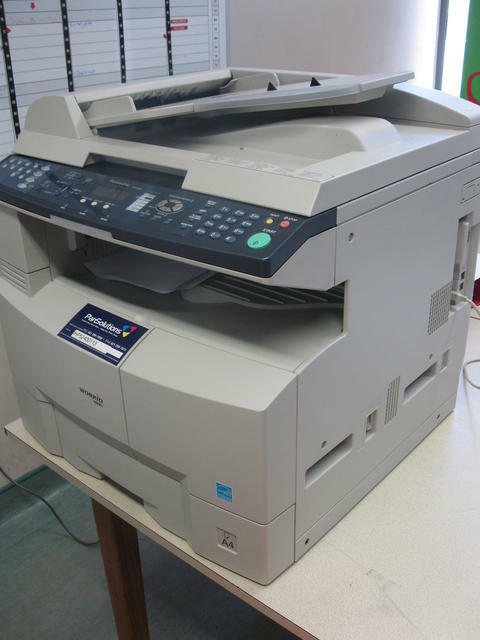 After their generous donation at the Nyanga branch, the Masi branch also recently received a multifunctional printer donation from PanSolutions. 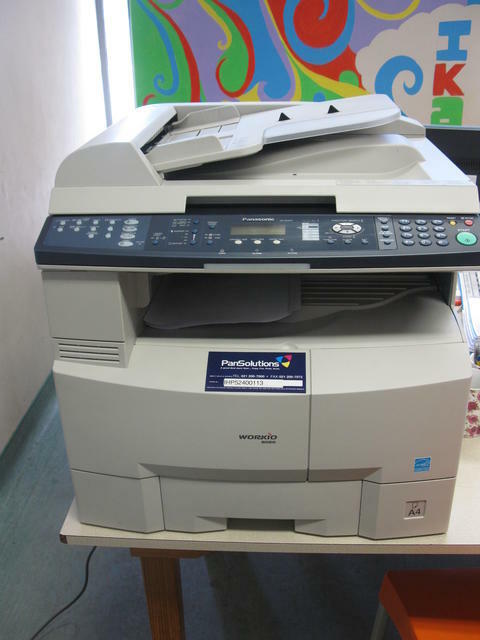 This Panasonic Wokio 8020 multifunctional printer can fax, print, copy and also scan documents. This is really a great resource for our ikamvanites to use for their academic work. Thank you PanSolutions for the donation. 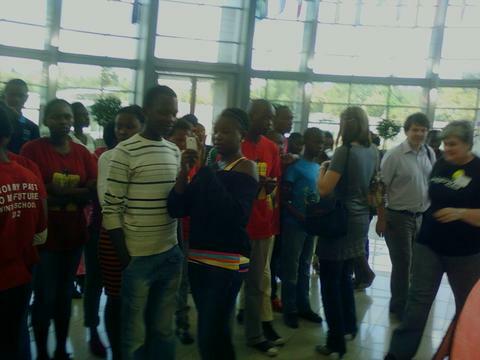 30 ikamvanites from Gauteng attended the HIP2B2 3M Innovation challenge final held on the 18 of October 2012. It was addressed by the Honourable Minister of Science and Technology Mr Dave Hannekom and other relevant stakeholders including SAAST,SAWS and SABC’s top current affairs journalists. The Innovation challenge is about exposing learners to having a scientific approach to things and life in general (identifying a problem, identify scientific methods and resources to addressing the problem and finally getting learners to create and design models). Unfortunately, none of our learners made it to the finals, but we take pride in our fellow school Maphutha Secondary School, who represented Johannesburg East District 9 as well as the entire Gauteng Province and had the opportunity to participate in the competition. Let us continue encouraging our learners to enter such competitions so that they improve their experimental learning and academic exploring! !